Topography—both natural and man-made—is an integral part of Tremont’s history. 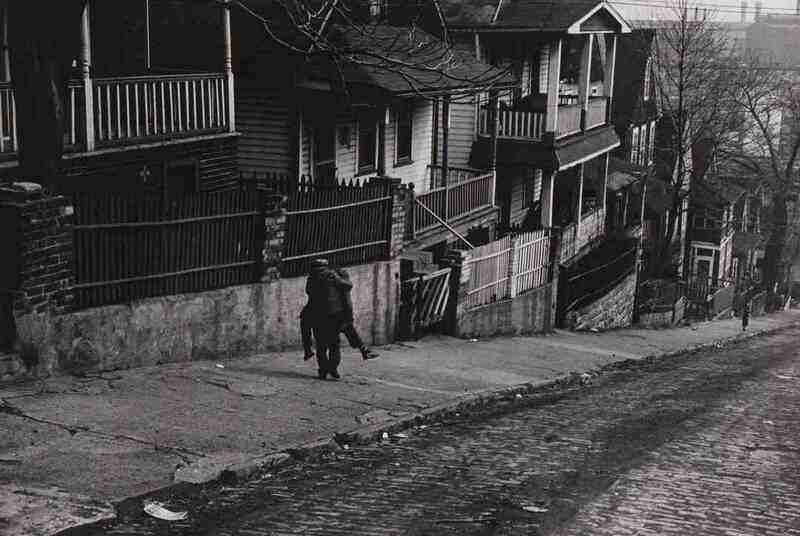 The neighborhood’s most notable feature, for example, is its location at the top of a bluff. Before construction of the Central Viaduct in 1887, Tremont residents could not walk north or east without navigating the precarious and confusing Flats. Ironically, this terrestrial peculiarity contributed simultaneously to the area’s isolation (hard to reach) and to its residential popularity (close proximity to the many steel mills, factories, warehouses and river-shipping interests that populated the Flats). Earlier in the 19th Century, moreover, it was Tremont’s elevation—sweeping views of the Cuyahoga River and cool breezes from Lake Erie—that attracted wealthy settlers. This began to change, however, as the Cuyahoga River Valley grew more and more industrialized. Soon, the air in Tremont no longer seemed so fresh and the views became more smoky than scenic. But as wealthy citizens moved out of the neighborhood, families whose men worked in the valley increasingly took their place. Accessibility also increased when the Central Viaduct was constructed. Initially, the Viaduct consisted of two bridges: The first structure connected what is now West 14th Street to what is now Carnegie Avenue. Deemed unsafe, the bridge was torn down in the early 1940s. The Viaduct’s path is more or less replicated by Interstate 90. The second structure, known today as the Abbey Avenue Bridge continues to link Tremont with Ohio City. In 1912, Tremont residents received another ingress/egress opportunity when the Clark Avenue Bridge was constructed. This span (totaling 6,687 feet) consisted of three sections: The first comprised a series of trusses over the B&O railroad tracks adjacent to Quigley Road. The bridge’s west end connected to West 3rd Street and provided safe access to the Jones & Laughlin Steel plant. A third (east) section, which included the river span, extended from Pershing Avenue to West Third Street. 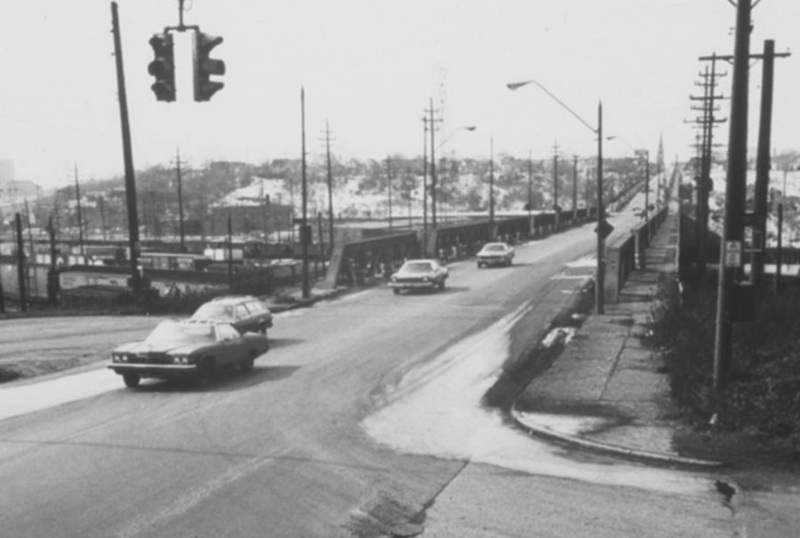 The Clark Avenue Bridge was demolished in 1980. 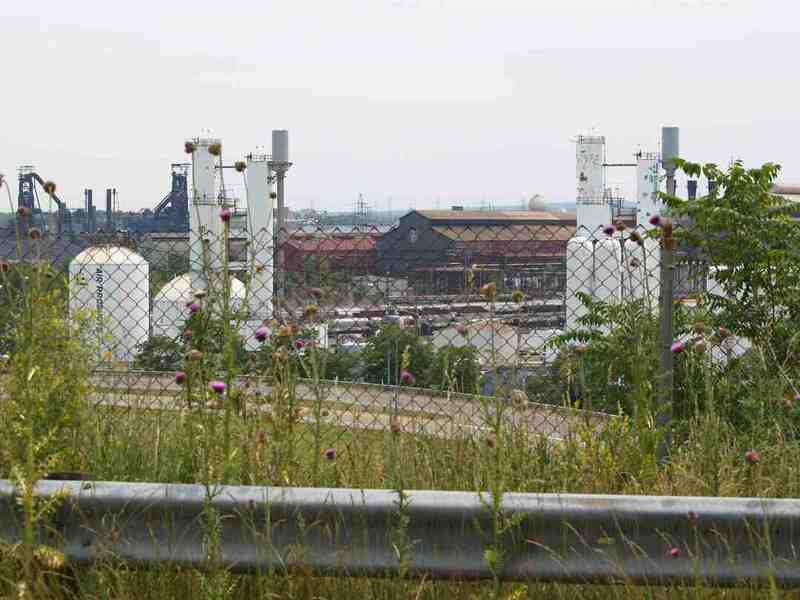 Its giant supports can still be seen at the base of Clark Avenue where it meets Quigley Road. A third topographic change occurred during construction of the Cleveland Union Terminal complex (completed in 1927). Before that time, the Duck Island (west Tremont) area was tied into the street grid to Ohio City. Freeman and Willey Avenues (which now terminate on the west at Columbus Road) continued all the way to West 25th Street, as did a no-longer-extant street called Eureka Court. 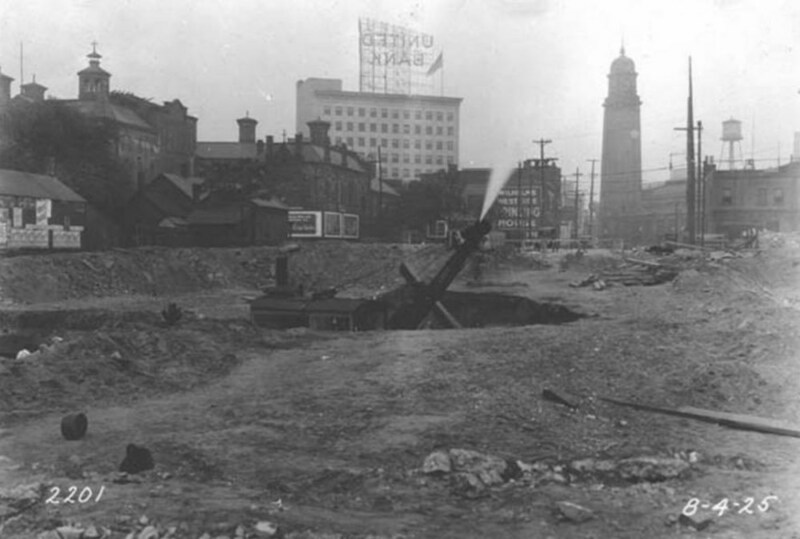 To create a rail path (now the RTA Red Line), all structures between the west side of Columbus Road and the east side of Gehring Street were razed. The area then was excavated downward some 30 feet to create the channel where the tracks run today. The only bridge subsequently erected to cross this divide was on Abbey Avenue, so the new excavation effectively increased Tremont’s isolation. In the decades following World War II, many Tremont residents left the neighborhood for the suburbs. Multiple factories in the valley closed and many of the descendants of Tremont's original working-class residents grew prosperous enough to leave. A freeway construction boom exacerbated that exodus by making it easier to reach the suburbs. 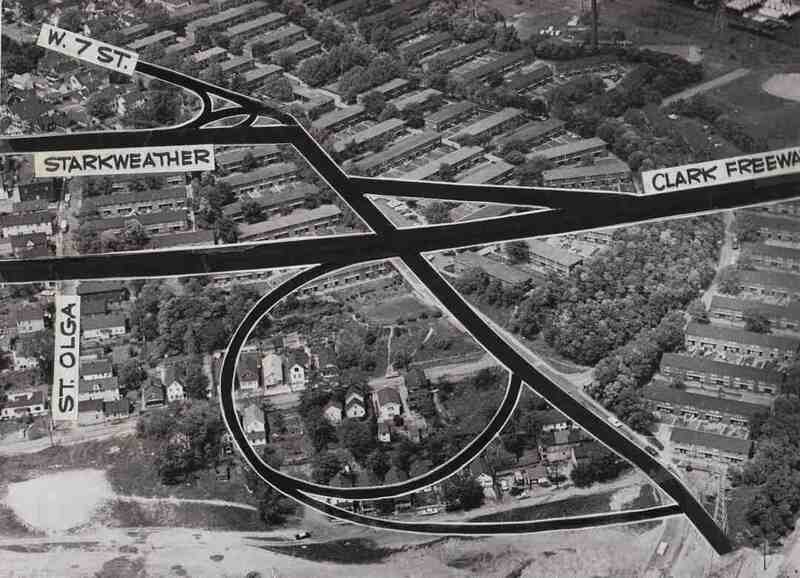 Interstate 71 (the Medina Freeway) created a wedge between West 14th Street and Scranton Road, while Interstate 490 (the Clark Freeway) subdivided Clark Fields on Tremont’s eastern border. A roundabout at the south end of West 14th Street—where it now meets Interstate 71 and the Jennings Freeway (Route 176) also truncated the south end of Tremont. 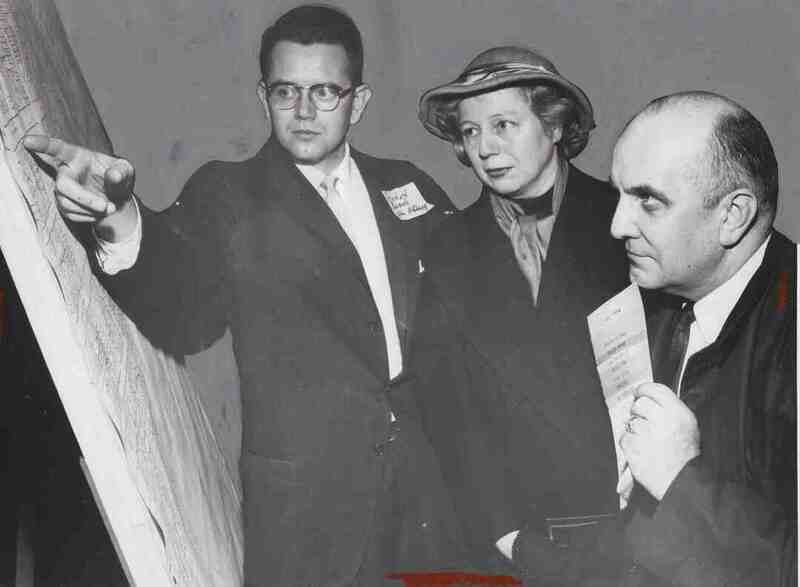 Prior to the construction of these highways, drivers had easier street-based access to Cleveland City Hospital (now Metro Health) via Jennings Avenue and to Scranton Road via now-truncated streets such as Clover, Corning and Brainard Avenues. 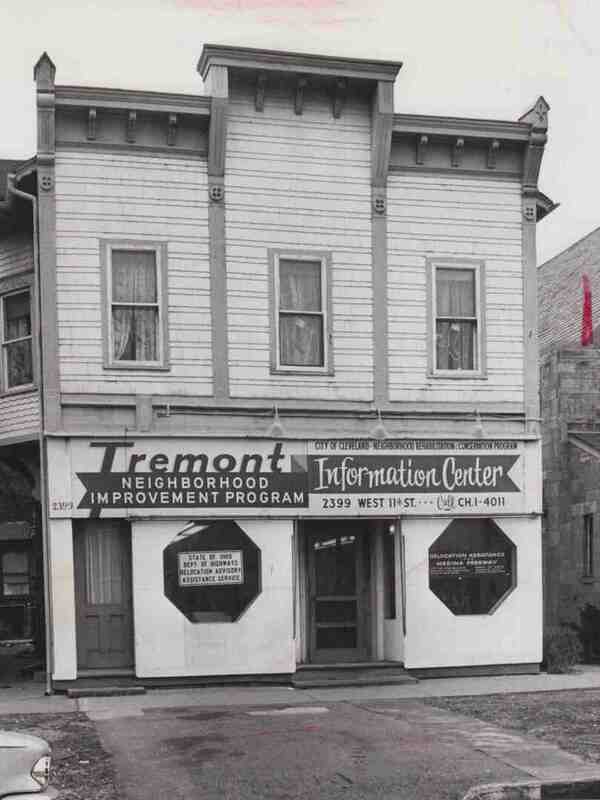 Tremont’s revitalization began in the late 1970s with the organization of Tremont West Development Corporation. Urban pioneers, restaurants and art galleries arrived in the 1980s and accelerated in the 1990s. That transformation continues to this day, although Tremont’s strange geography and asymmetric street grid still confound thousands of visitors. Moreover, the myriad freeway under- and overpasses give Tremont an oddly segmented feel: diverse neighborhoods with widely varying financial, industrial and terrestrial personalities. It’s all part of the strange charm that (literally and figuratively) sets Tremont apart. 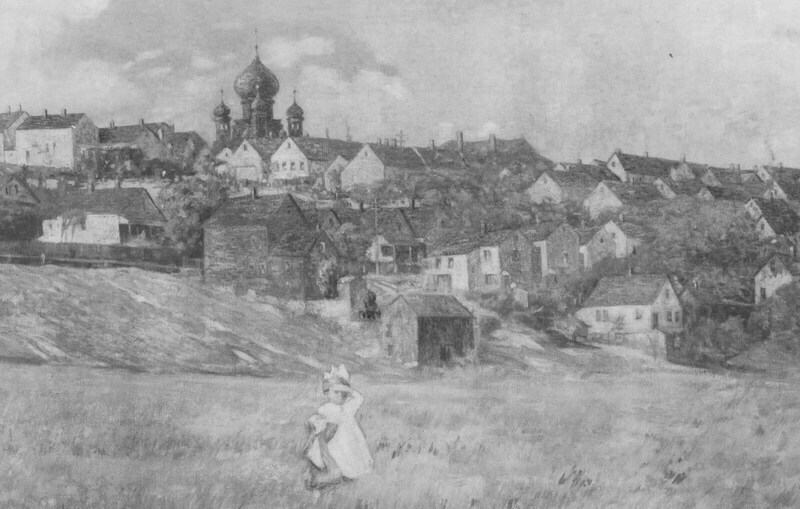 Dr. John Grabowski, Krieger-Mueller Associate Professor in Applied History at Case Western Reserve University and Director of Research at The Western Reserve Historical Society, describes the area behind St. Theodosius. 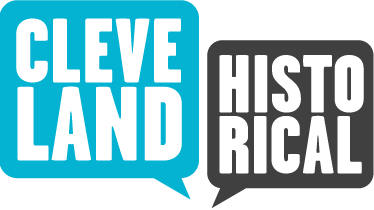 Michael Rotman and Chris Roy, “The Landscape of Tremont,” Cleveland Historical, accessed April 23, 2019, https://clevelandhistorical.org/items/show/102. Published on Nov 27, 2010. Last updated on Apr 18, 2017.